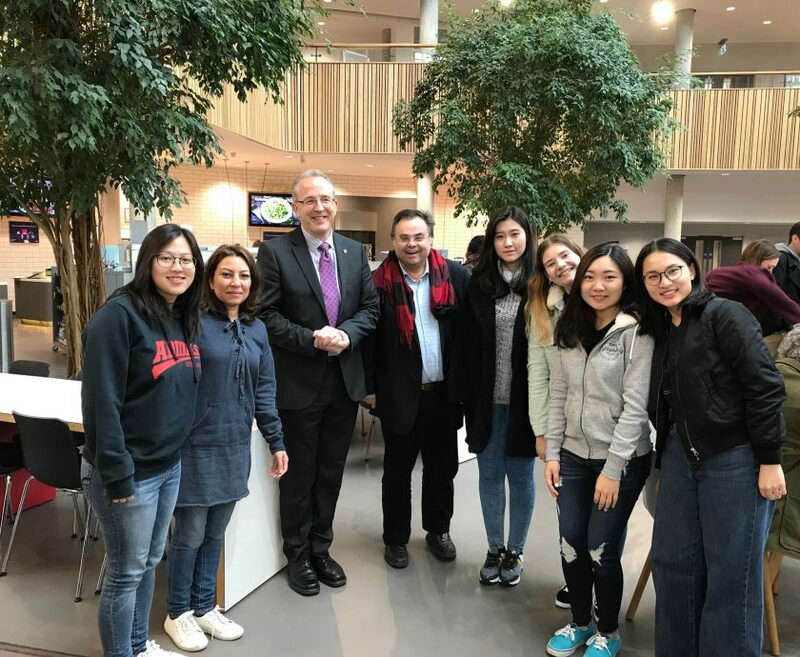 Tourism and Hospitality | Our Vice Chancellor Professor John Vinney welcoming our lovely exchange students from Hong Kong, Germany, Portugal and Macao to Bournemouth University. Our Vice Chancellor Professor John Vinney welcoming our lovely exchange students from Hong Kong, Germany, Portugal and Macao to Bournemouth University. Posted January 24, 2019 . Filed under News. Our Vice Chancellor Professor John Vinney and Head of Department of Tourism and Hospitality Professor Dimitrios Buhalis and Global Engagement Lead Dr Hanaa Osman welcoming our lovely exchange students from Hong Kong, Germany, Portugal and Macao to Bournemouth University. Professor Dimitrios Buhalis addressed the World Tourism Organization Forum: Facing the Demographic Challenge Through Tourism and Innovation in Segovia, Spain, 26 March 2019. Dr Anya Chapman @ Cafe Scientifique 7th May at 19:30 – Pier Review: What does the future hold for British Seaside Piers? © Bournemouth University 2019. All rights reserved.